Sprinkle chicken tenders with salt and pepper, cook in skillet sprayed with pan coating over medium heat until golden brown and no longer pink, about 7 to 8 minutes. To put the wrap together, generously spread wrap with cream cheese. Spread preserves over cream cheese. Lay lettuce over middle of wrap. Arrange rest of ingredients lined up side by side in small mounds. Carefully roll up and slice in half diagonally. Serve with Pepperlane Ginger preserves on the side. 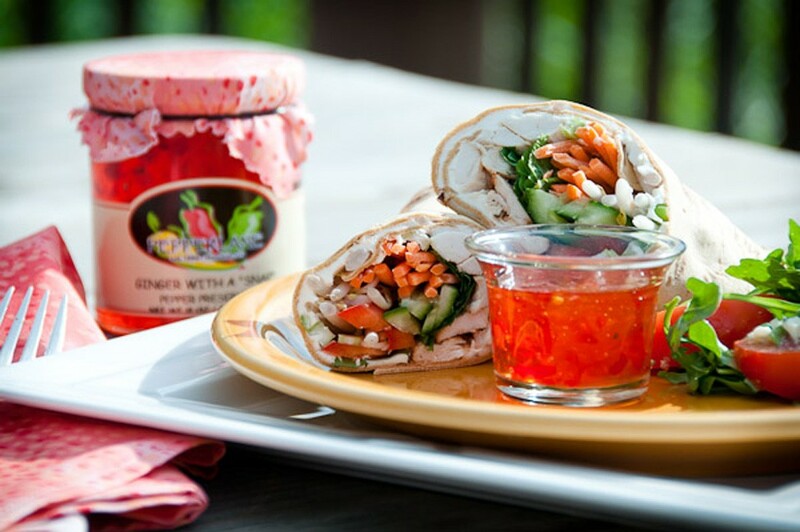 A HEALTHY WRAP WITH BIG FLAVOR TO START THE NEW YEAR RIGHT; ENJOY! !